The owner of 8 Outdoor has won the backing of a Hong Kong-based investor to fund expansion in the UK digital out-of-home sector. SIS Digital Vision has received an £11m investment from Sun Hung Kai & Co. (SHK) in return for a minority stake. Cennydd Roberts, chief executive of 8 Outdoor, said it would use the cash to accelerate what he called its "broadcast digital" strategy by offering brands mass reach via DOOH screens in the 50 biggest UK cities. 8 Outdoor already operates about 90 digital screens in 25 cities and hopes to have added another "80 to 100" screens and a further 25 cities by the end of 2018. "The barriers to entry would be cash and sites," Roberts said. "We’ve got the cash sorted out [with the SHK investment] and we’ve been building up a pipeline of sites. " 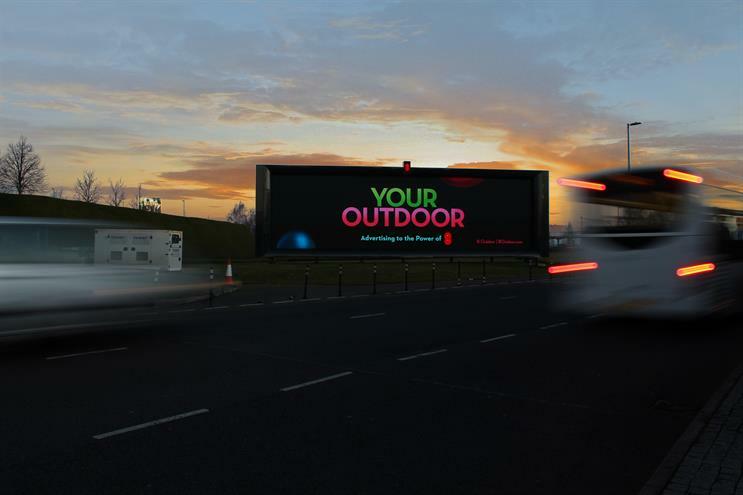 He claimed 8 Outdoor already reaches "more adults by large-format roadside screen than any other media owner in the UK after only three years after trading". This is about 10 million adults or 25% of the UK adult population, according to Roberts. "With a ‘broadcast digital’ model, one of our key pillars is reach," he explained. "Our business is not an Ocean model with high rents and individual screens," he added, referring to rival Ocean Outdoor, which is set to float on the London stock market after being acquired by Ocelot Partners. "Our strategy is to go every town and city in the UK. The easy target is cities with over 100,000 in population. "There are about 50 cities [we hope to reach] by the end of the year. We’re about half way there [with 25 cities]. Clearly the more cities we go into, the greater the advantage." Simon Grice set up SIS Digital Vision and John Story, a former investor in Ocean Outdoor, was an early backer. The company began trading as a manufacturer of steel structures for the outdoor industry, before diversifying and becoming a media owner. "That makes our company unique," Roberts said, pointing out SIS Digital Vision makes its own "component parts", including steel fabrication and LED lighting. "The company has got its own R&D [to develop physical infrastructure]." Darren Poynton, the former chief financial officer of Havas Media in the UK, has joined as chief financial officer of SIS Digital Vision and advised on the investment by SHK. Poynton said: "Securing this significant funding is a demonstration of the group’s ambition." Companies House filings show there are more than 50 shareholders in SIS Digital Vision. Alan Brydon, former chief executive of trade body Outsmart, is non-executive chairman. Karen Stacey, chief executive of Digital Cinema Media, and Natasha Murray, direct of client partnerships for Guardian News & Media, are listed as non-executive directors. Industry observers have said the outdoor sector is ripe for consolidation. Roberts said 8 Outdoor would potentially be in the market for "acquiring screens from other media owners if they became available" but "to acquire another business is not under consideration" at this time. Some outdoor media owners have tried to challenge the power of the specialist poster buying agencies but Roberts said 8 Outdoor believed it could command a premium by offering unique reach to buyers. "I see specialists as friends and they certainly welcome our investment in new frontiers and new towns and cities and not duplicate the current structure where all the screens are," he said. Only about one fifth of 8 Outdoor’s estate is in the London/M25 area. "If we were to invest our money into three cities, in Manchester, Birmingham and London, we wouldn’t be growing outdoor. We want to grow the number of eyeballs," Robert said. "We’ve been very successful in terms of our ad revenue take. We’re getting a lot more sell-outs in Hull than we would do on the North Circular [ring-road in London] because there’s so much more signage on the North Circular."